IT was 1433 years ago, when a man in Makkah – ridiculed and persecuted by his people – left on a mission to the close-by mountainous town of Taif. The man had declared to the Makkan people that he was a messenger of God who receives, through an angel, revelation from the Creator of the Universe. Why would anyone believe that, you may wonder? Well, read on. So what was the messenger’s message? Your God is One. Worship Him alone, not any other idol or being besides Him. He hailed from the noblest of families and was well-known to his people. He had never lied, never prostrated to an idol, and never did anything that would have blemished his character. His word was respected, his judgment final, because he was never unjust. He grew up among them. They witnessed him as a child, a youth, and as an adult. Al-Amin (The Trustworthy) they titled him for his truthfulness and honesty. Yet after 40 years of his age, they called him a liar, a madman, a magician, and a sorcerer. They insulted him like the cartoons do today, but they could not prove his message wrong. How could they? They had no reply, no answer, and no explanation for the powerful words coming out of his mouth. The finest and proudest literary geniuses they were, they had never heard a speech more supreme, sublime, intellectual, and thought-provoking than the Qur’an, which claimed to be the divine revelation of God. And it was being recited by one who could neither read nor write. Captivated by the truthful message and enthralled by the miraculous speech that challenged them “to produce something similar” if they doubted its divinity, the Makkans could not merely ignore the man’s claim of being “a messenger of God” as a fallacy that deserves no attention. The leaders felt threatened and unseated by this one man in who believed a few dozen people. They had to stop him by any means. If ridiculing and shutting their ears didn’t work, persecution and torture of his weak followers was the deterrent. He was bribed too with riches and kingship that would make him the most powerful man in Arabia. He declined all such offers. It was not the world he sought. “If they put the sun on my right hand and the moon on my left hand, I would still not give up my mission,” was his stand. The man as you know was Muhammad, may God’s peace and blessings be upon him. He has over a billion followers today. His message is the fastest growing in the world. Not a moment passes except that he is being praised publicly as a messenger of God from the top of minarets in some part of the world. Adhan (Muslim call for prayer) doesn’t stop for a second. If you find the divine claim hard to believe, research and you’ll know the undeniable signs and facts that Islam is truly God’s religion. This faith is not blind and it has full divine support. Ten years passed since he first received God’s revelation. Quite a lot happened during these years: Socially vulnerable believers migrated to Abyssinia to escape torture. Banu Hashim – the tribe of Muhamad ﷺ – was boycotted collectively by the rest of Makkan tribes. Muhammad ﷺ was the price they demanded to end the boycott. People survived eating branches and leaves. The boycott ended after three years. On the tenth year of Prophethood, Abu Talib – his powerful uncle who raised, supported and protected him – died. His wife Khadeejah – a pillar of comfort – too passed away. If this grief was not enough, the disbelieving Makkans increased their persecution against him. Even common folk would dare – now that Abu Talib was dead – to harm the Prophet ﷺ. Rejected and dejected by his people, he left Makkah hoping the people of another town would accept his message. TAIF, for centuries, had been a fertile land for agriculture. Its people had treaties with the Makkans and other surrounding Arabs out of fear of occupation. 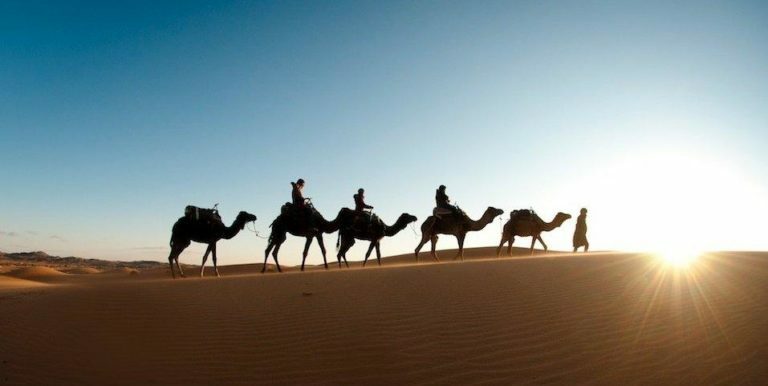 The Prophet ﷺ, along with Zaid bin Haritha, undertook the mountainous journey on foot. This was, as explained, not to rouse any suspicion that Muhammad ﷺ was leaving Makkah. When he reached Taif, Muhammad ﷺ went directly to the leaders and explained to them the message of Islam. The leaders not only rejected it, but they also ridiculed the Messenger and displayed horrible manners. As was the manner of the Prophet, he did not respond to foolish behavior. He got up to leave, while telling them to at least keep his visit a secret. The leaders of Taif did the opposite. They also set their young boys to chase the visitors with stones. No sooner than he finished his supplication that Allah responded and sent angel Jibreel (Gabriel) along with the angel of mountains. The angel was at his command to crush the people between the mountains. His people had rejected and harmed the Messenger of God, not any trivial deed to do. God’s punishment is nothing new and we know for a fact that nations before were destroyed. But the Prophet of Mercy did not want that. He instead prayed for the progeny of those people to believe. THE garden he took rest in belonged to two Makkan notables – Utbah and Shaibah bin Rabee’ah – who were watching the cruel episode from behind. “And where are you from and what is your religion?” the Prophet questions. “I am a Christian from Ninawa (Iraq),” replies Addas. “From the town of the righteous man, Younus bin Mattah (Jonah),” says the Prophet. “He is my brother. He was a Prophet, and so am I,” is the reply. What an irony! His own people reject him, while a foreigner acknowledges him. Muhammad ﷺ now had no choice but to return back to Makkah, which would be life-threatening. The Quraish (leaders of Makkah) had learned about his apparent failure and thought it was the defeat of the Messenger of Allah. “How can you enter (Makkah) when they have forced you to leave? And you went out seeking help, but you were not helped?” Zaid worriedly asks. Having no idea what the future had in store for him (yet having full trust in the Almighty whose messenger he was), he retires to Cave Hira before entering Makkah. From there he sends messenger after messenger to leaders of one tribe after another, seeking their protection, for if one tribe offered protection, others wouldn’t dare harm him. Such were the customs of society those days. Every leader rejects his request, except for Mut’im bin ‘Adee of Banu Naufal, who agrees. The Prophet enters Makkah while the sons of Banu Naufal surround him with weapons offering protection. He heads to the Ka’bah offers Tawaf and none of the Makkans dare to come near him. Surely this year was the lowest point in his mission. Year of Grief, it was titled. Despite the extraordinary hardships he faced in his mission, Allah always delivered him through them. The mission was challenged, but was never setback. Hardships are not necessarily a bad thing. Adversity nurtures and develops people. The hardest tests are faced by those who are the most beloved to Allah. Humiliated, his people might have thought he was. Proud, they must have felt by his state of weakness. Yet they had no moral courage or inner strength to stand and compete with the impeccable perfection of a man they saw before themselves. Allah did not forsake His Messenger. 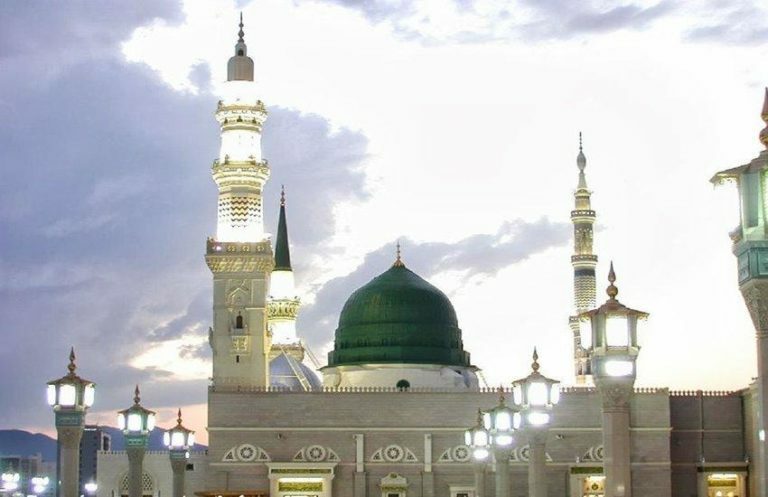 He gave Muhammad ﷺ the city of Madinah and an army of devoted believers. Indeed, within the next decade, the man who was ridiculed, rejected and eventually forced to migrate became the unchallenged leader of Arabia – Makkah and Taif both under his control. The people did eventually embrace Islam. It does not take time for tables to turn, for situations to change, for indeed Allah can change one’s state – from power to disgrace – in no time. It does not then befit the insignificant human being to be deluded by temporary power and act in arrogance and disobedience to the Lord of the Universe. While the Makkan leaders chose tyranny and oppression when they had power, Muhammad (صلى الله عليه وسلم) chose forgiveness and mercy when he gained power. When he conquered Makkah, he did not seek revenge against his enemies. As he ﷺ once said, “I have been sent to show mercy, not curse.” If you want to know more about his character, look at what the Muslims are sharing about him on Twitter under the #WhoisMuhammad tag. That we remain a people completely ignorant about this man who was the greatest creation that creation has ever witnessed, who brought in a span of only 23 years the utmost reform the world has ever seen, and whose message continues to enlighten and transform societies… that we remain unaware of this personality is a loss that cannot be described in words or measured on any scale. Read his biography. And no, it is not incidental that there exists no persona – absolutely no one – whose life has been preserved as minutely and as accurately as that of our beloved Prophet, Muhammad.